Parking fee is $2. There will be an attendant. Please have exact change ready. DRIVING DIRECTIONS From Ventura: Take hwy 33 towards Ojai. Merge to hwy 150 into the town of Ojai. Pass downtown continuing east. Do NOT turn at Soule Park Golf Course. 3 blocks past golf course, make RIGHT onto BOARDMAN. (There is a sign saying Soule Park.) Park entrance is a long block down Boardman on the right. 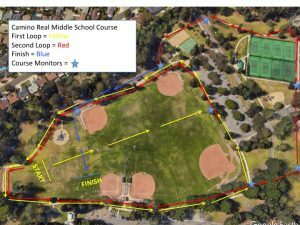 The course will cross the road near the beginning of the park and at the back of the park. The road near the entrance of the park will be blocked from ~4:00- 4:10 and from 4:30-4:40. Please do not plan on entering or leaving the park during those time blocks. 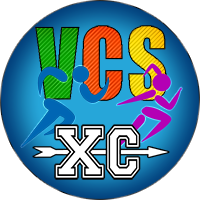 League Meet #5 will take place this Friday at VUSD District Headquarters, 255 W Stanley Ave, Ventura. Race times will be as follows: Elementary (Pool A) 3:00, 3:15, (Pool B) 3:30 & 3:45 followed by Middle School at 4:00 (G) and 4:30 (B). Parking: Please see the attached map. Parking is allowed in designated parking spots (yellow circles) only. As a reminder, there will be no water table provided. Please make sure your athletes come prepared with their own water. DATA will be having a bake sale. All items will be $1. 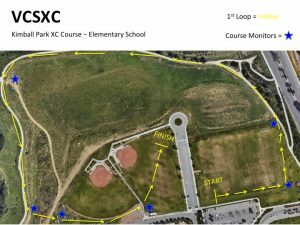 League Meet #4 will take place this Friday at Camino Real Park, Dean Dr and Varsity St, Ventura. Race times will be as follows: Elementary (Pool A) 3:00, 3:15, (Pool B) 3:30 & 3:45 followed by Middle School at 4:00 (G) and 4:30 (B). Parking: Please park in designated parking spots only. Parking on the grass is NOT PERMITTED. The MS course crosses the exit road. If you have participants in the Elementary B races, cars will not be allowed to exit if a MS race is in progress. Please plan accordingly by either parking outside the park, leaving before the MS girls race begins at 4:00 or in between the MS races 4:20-4:30. 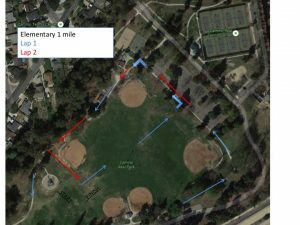 League Meet #3 will take place this Friday at Kimball Park, 901 S Kimball Road, Ventura. Race times will be as follows: Elementary (Pool A) 3:00, 3:15, (Pool B) 3:30 & 3:45 followed by Middle School at 4:00 (G) and 4:30 (B). Parking: Please park in designated parking spots first and once full, park in the dirt parking lot located between the pool and Telephone Road. Entering and exiting the park: There is one way in and one way out of Kimball. Please be patient and allow plenty of time to enter before race times.